One of locations that has joined the cocktail revolution is The Gardens Hotel at 526 Angela St., thanks to the discerning vision of bar manager Adam J. Duplin. The charming hotel that sits hidden behind a concrete wall on the corner of Simonton and Angela streets has been known for its Sunday afternoon jazz and as host to many benefits for local charities. 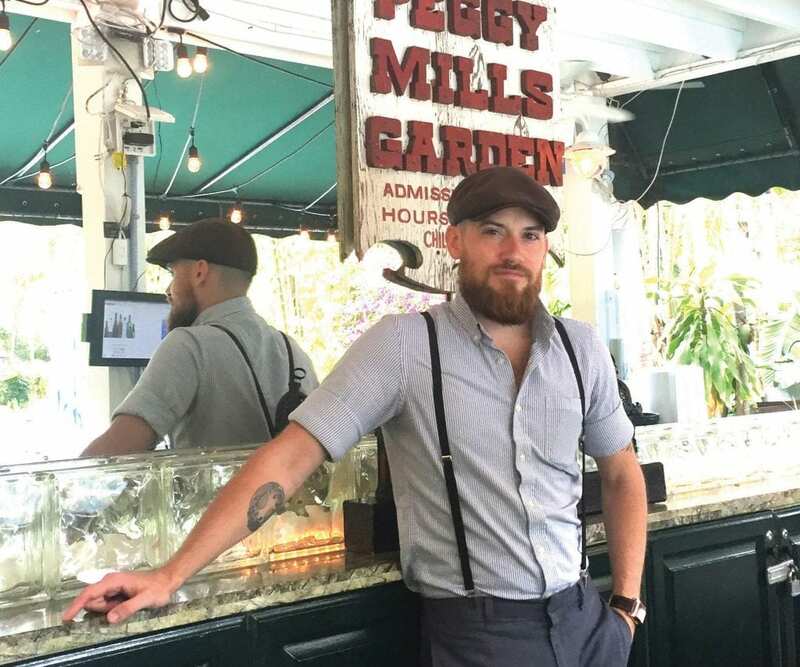 “Adam is quite the mixologist and quite interesting,” Gardens general manager Jim Marquardt says about his co-worker. One of the drinks that Adam just recently introduced is called the Gin Dandy. It is made with gin, egg white, lavender bitters, dandelion bitters, lemon juice and absinthe. It’s the type of drink that could have been served at Great Gatsby parties, which is fitting as that’s exactly how I picture the Gardens Hotel looking a hundred years ago. Fabulous, with a touch of glam. The Gardens Hotel dates back to the 1800s and is listed under the National Register of Historic Places. The story goes that in the 1930s a woman by the name of Peggy Mills purchased the mansion along with the surrounding grounds and turned the barren land into a magical garden full of exotic plants from around the world. Since her death in 1979, many detailed renovations have taken place over the years to create one of the island’s top luxury hotels. They mingle together at the bar that directly faces the updated courtyard and pool but still displays an antique sign from Peggy Mills, a novelty with a vintage vibe that speaks of old Florida as it might have been when Hemingway lived here. Meanwhile, I can’t help but notice that the bartender has a sense of style that looks like it belongs to Nick Carraway. Today he is dressed in a pinstriped shirt, with suspendered trousers and a newsboy cap on his head. It’s really as if you mixed up a few scenes from the past and brought them into the present. Hailing from Newington, Conn., Adam originally made the southernmost move to escape the cold and pursue a career in art galleries. But when the gallery he was working at suddenly decided to close and he was forced to find a new job, he came upon a craigslist ad for the position at the Gardens and he started there on August 10 of 2016. Luckily, he had already gained valuable hospitality experienced with industry stints that included a Thai restaurant, an Irish pub and a wine bar. “This place was a blessing,” he admits. Despite his recent accomplishments he remains modest and says that his style of bartending is more about the people than anything else. Florida Weekly Staff, thank you for your blog post.Really thank you! Awesome. Congratulations! We had a great time with Adam in March. Great bartender!